This is my first time to read Eliza Boyd's book and I don't actually know how will I express my thoughts about this. Believe me when I say that it is beautiful and the kind of book that you'll fall in love with right away. What makes me fall in love even more are the country songs mentioned in the book, what I did was look for everything in YouTube and listen to every songs while reading and it was seriously perfect. Just like that, everything is perfect. The story was written in a simple way there was not much of twists, it was like when you decided to be on a rooftop of a tall building and you look around you'll see everything there might be some things that are not good but the rest was amazing. This book is about a woman who have been into an early marriage but turned out that the marriage is complicated than it was when they were still dating. 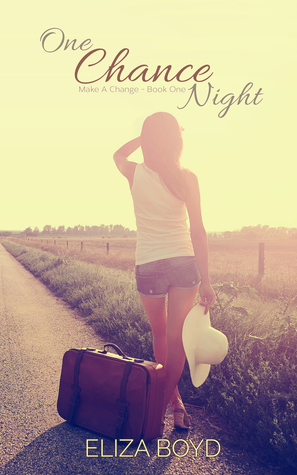 One country night in a bar changed her life. It was a big step and a big risk to take but the way her life changed it was worth it, but no matter how different things are as years passed there is one thing that doesn't change and it was her feelings towards the man who helped her realize things about her own life. I could say I'm fan of this book now. It was funny when the time I was reading this, sometimes I'm at work during breaks I will read a few pages and I can't stop smiling. My heart stops in every lovely scenes. No words can describe how much I love this book to be honest. AAAANDDD the songs that was chosen to be included in this book is sooooo awesome! It's like the songs can tell what the book or a particular scene was really meant. Can this be a movie please? To other readers, hope you find this book really pretty the way I saw it while I read. "No one's life ends up exactly the way they thought it would." "Life's long when you're unhappy."